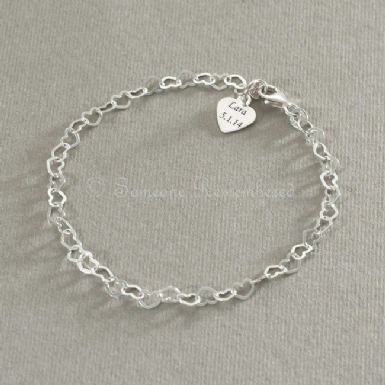 Tiny Hearts Engravable Memorial Bracelet. 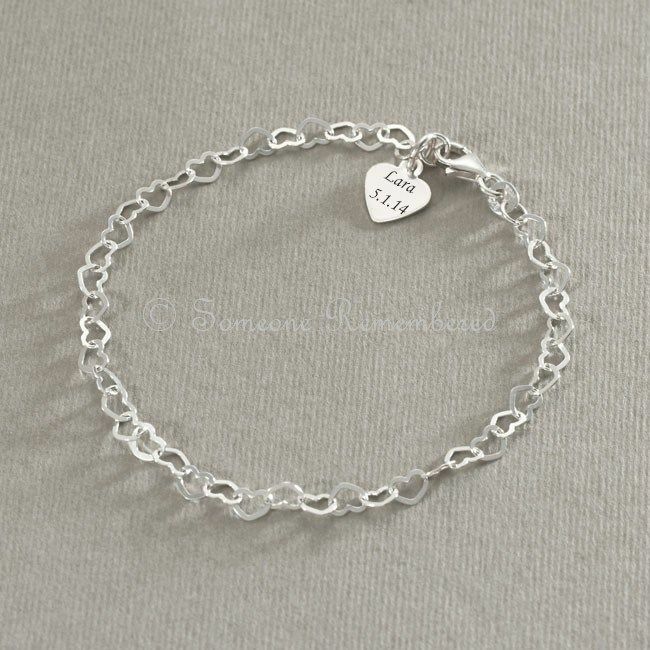 This delicate bracelet, with chain made of tiny heart links, is the perfect way to remember a lost loved one. Our Memorial Bracelets make lovely, thougthful sympathy gifts to show love and offer comfort and support to someone who is grieving. The discreet heart charm can be engraved with any message, date or name (up to 14 characters, per side, including spaces) which means something to you or the person it is for. 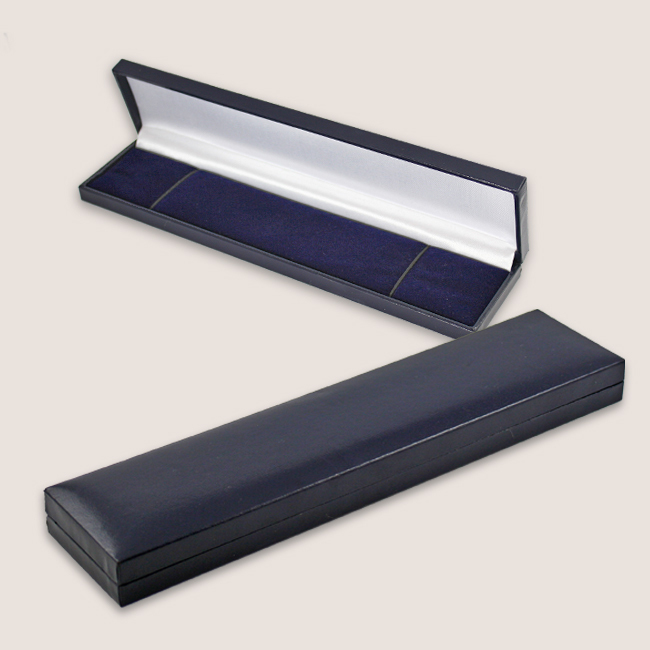 Need some with what to have engraved? See our Engraving Ideas page for a little inspiration. Bracelet Size: 7.5 inches (can be shortenend on request). Silver Weights: Chain and clasp 1.5g. Tag 0.4g.